Categories: Children's Hair Care, Daily Care. The Early Starters Hair Butter Lotion properly moisturises your child’s hair strands, and conditions the hair, making it more manageable. 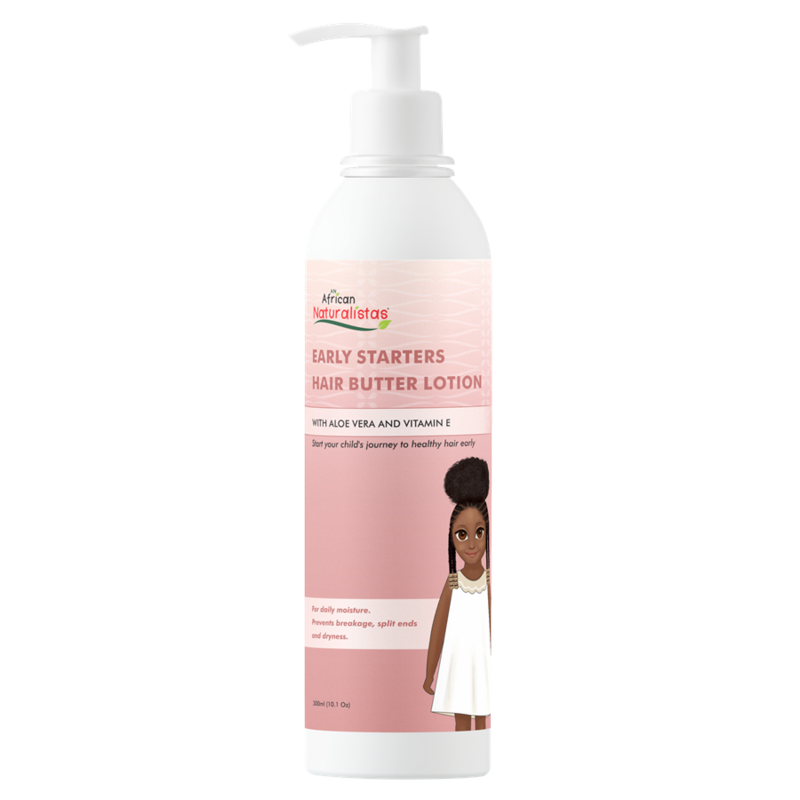 With the Early Starters lotion, your child’s delicate hair strands will be stronger and less fragile. It also protects their hair against split ends, breakage, and dryness. For best results, apply a small amount of this lotion on your child’s hair, from root to tip. Style hair as desired.